A nervous legacy from Ohio, Jack only got into Lambda Sigma Rho because his uncle was an alumni and the frat really needed some pledges. With his best friend Norm, they hoped to make new friends. Unfortunately, Jack is a huge comic book nerds and most of the other bros would rather chase girls and get drunk. Jack wants desperately to be cool, but just comes off as desperate. 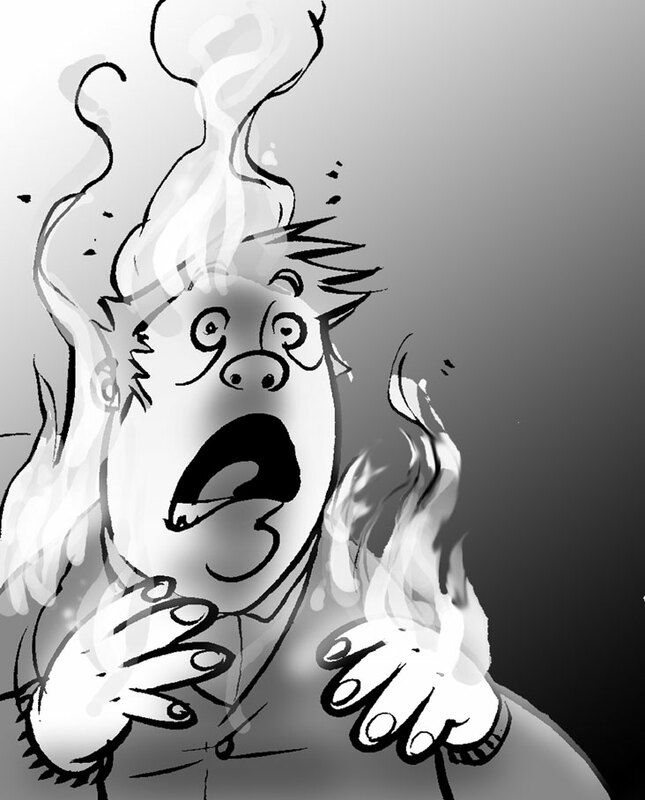 Jack’s fire powers tend to go off when he’s nervous. This is usually a disaster, as he has an extensive comic book collection. Jack helped Norm battle the indestructible turd and eventually, they found a place for it. He also traveled to Ancient Egypt, where his fire powers didn’t help them escape from being slaves to build the pyramids.